Marc Cenedella is the founder and chief executive officer of TheLadders.com, the world’s leading online marketplace for $100K+ jobs and $100K+ job seekers. Marc started TheLadders.com in 2003 to make finding a professional job a lot easier, and transformed the way $100K+ candidates and recruiters connect online. With a membership base of 3.5 million, TheLadders.com job search and recruitment model has been embraced by executives and employers alike, with the company ranking #1 for overall satisfaction in an independent survey of recruiters. TheLadders.com has received numerous accolades, including the 2009 Webby Award for Best Employment Website, 2009 Best Companies to Work for New York, 2009 Silicon Alley Award - Most Likely to be Worth $1 Billion and “Best of the Web” designations by BusinessWeek and Forbes. Marc is a populist scientist of employment. His passion in life is jobs, their sociology and culture: the process by which everyone passes from family through school and into a career. It’s the second most-important thing in people’s lives, after love and family and as a result, the subject of jobs itself is Marc’s chosen devotion in his professional life. A widely recognized thought leader on job search, career management, recruiting and business, Marc is frequently sought out by national media outlets and organizations for his expert commentary on employment and entrepreneurial related issues. 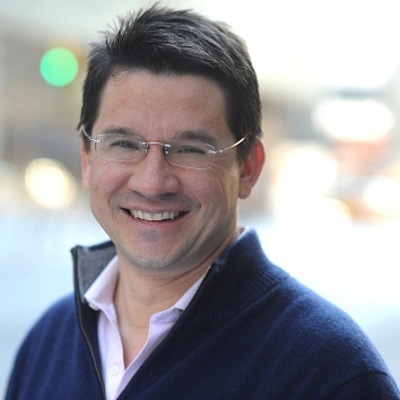 Prior to founding TheLadders.com, Marc was the senior vice president of Finance and Operations at HotJobs.com, where he orchestrated the company’s $436 million sale to Yahoo. Previously, Marc was an associate vice president at The Riverside Company, a New York-based private equity firm.